Some copies came with a gold Stereo sticker on the cover, Does that indicate the existence of a mono version of this album? My least favorite from their British catalog. 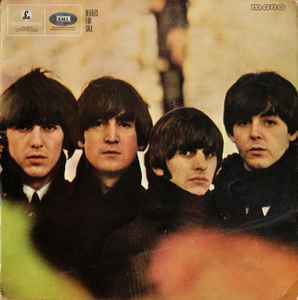 The USA lp releases broke these up between Beatles VI and Beatles '65, and in my opinion, '65 was the much better record for me. Still a 4 star record. On my version 1C 072-04 200 : misprint label code LC 0162 on side 1 and LC 0287 on side 2. On the back cover the track 7 is only KANSAS CITY (Lieber-Stoller) Paul. There is a silver sticker with code price S PATHE MARCONI (probably for the french market). i see that all the mono /stereo is erased, right?